Have humans always been humans? Were animals designed? How can we make sense of the evidence we see? 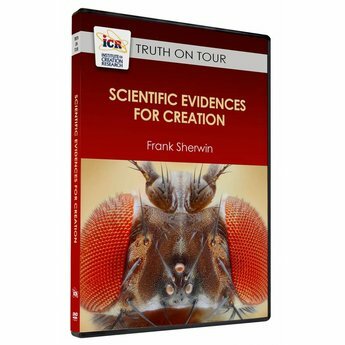 In this DVD presentation, ICR's Frank Sherwin explores the scientific wonders and mysteries of God's living creation. Have humans always been humans? 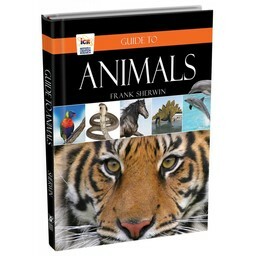 Were animals designed? How can we make sense of the evidence we see? 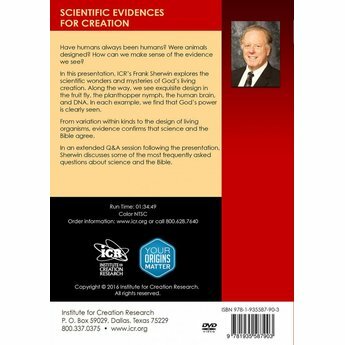 In this DVD presentation, ICR's Frank Sherwin explores the scientific wonders and mysteries of God's living creation. Along the way, we see exquisite design in the fruit fly, the planthopper nymph, the human brain, and DNA. In each example, we find that God's power is clearly seen. From variations within kinds to the design of living organisms, evidence confirms that science and the Bible agree. In an extended Q&A session following the presentation, Sherwin discusses some of the most frequently asked questions about science and the Bible. 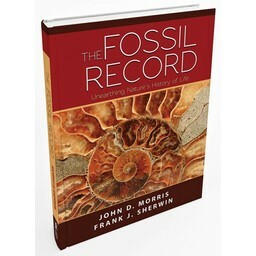 If you prefer, this resource, Scientific Evidences for Creation, is also available in digital form and can be downloaded now.